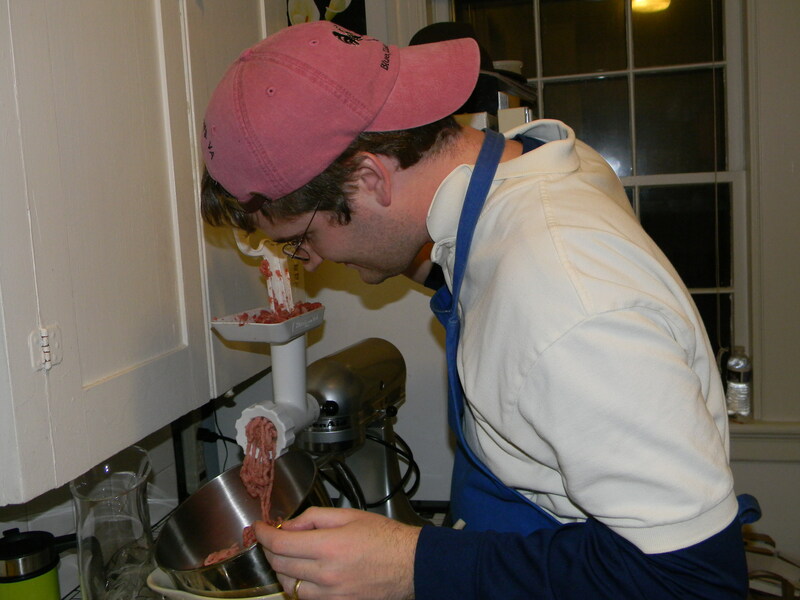 Gardner’s parents gave him a Kitchen-Aid meat grinder attachment for Christmas – and he has loved it. When he first told me he had asked for a meat grinder, I had daydreams about gourmet hamburgers…but meatballs never entered my mind. To me, meatballs have never been that exciting – we never had spaghetti and meatballs growing up, and meatballs just sound kind of … boring. These meatballs were so rich and delicious – and the oozing mozzarella didn’t hurt either. I sooooo want the meat grinder attachment!! Maybe for my birthday… I think meatballs stuffed with cheese is such a novel idea! More things should be stuffed with cheese! So glad to hear the meat grinder adds to the repetroire of 2frugalfoodies! Loved seeing the picture of the meat grinder himself! We remember that hat . . . a reminder of good times in a good place!